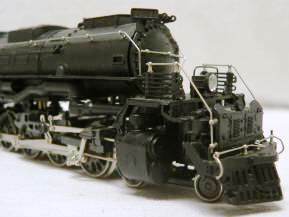 Built by Rivarossi for AHM, this HO Union Pacific 4-8-8-4 "Big Boy" originally sold for $49.95 and was introduced in 1967. I can remember seeing them at Woolco on special for $19.88 in the early 1970s. By 1980, AHM was listing this model at $389.98.